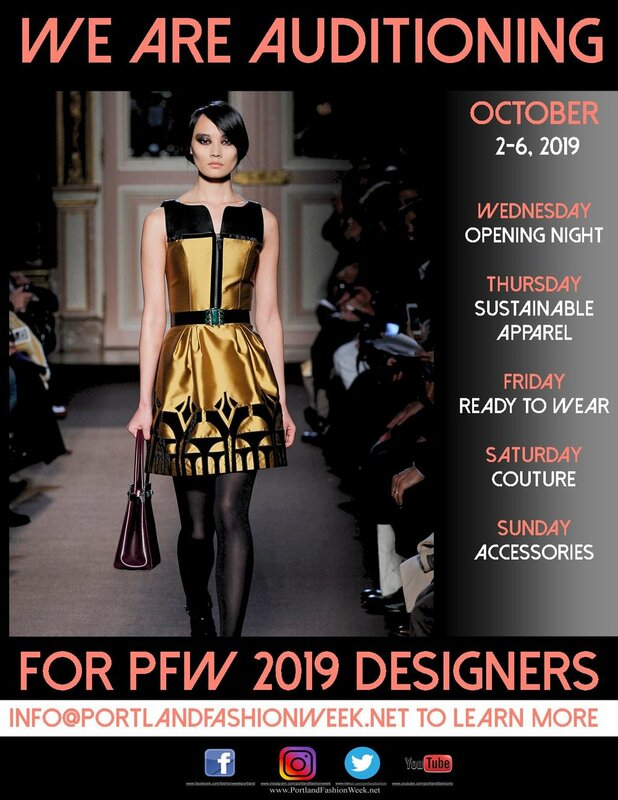 Portland Fashion Week has proudly grown our reach to nearly 2 million consumers each year, supporting independent designers who have gone on to win Project Runway, design for Lady Gaga, and win other prestigious awards/recognition. Nurturing young designers through mentorship and educational opportunities, we pride ourselves in our professional platform, allowing designers to showcase their work and grow their art. Acting as an incubator for young talent in the Pacific Northwest, we are in constant support of our designers (our goal is to grow you, not charge you!). The process starts with an open audition. Our talented and veteran committee of judges will begin with a review close up photos of seems and finished work. Upon their discretion, designers will then be selected to move forward to a live runway portion, whereas our judges will observe garments on models. Keeping the creativity in the hands of our designers, we provide a stat sheet of models in all sizes, shapes, and skin tones; allowing our designers to select whom they dress. Providing a safe space full of creativity for all, we vet all participants prior to participation with Portland Fashion Week. At Portland Fashion Week, we pride ourselves with the integrity of the garment, design, and process. When selecting designers, our method is no different. Whether out of town or local, we have created a simple process to review all talent, and select the very best. Interested in learning more? Click here for our designer participation kit.